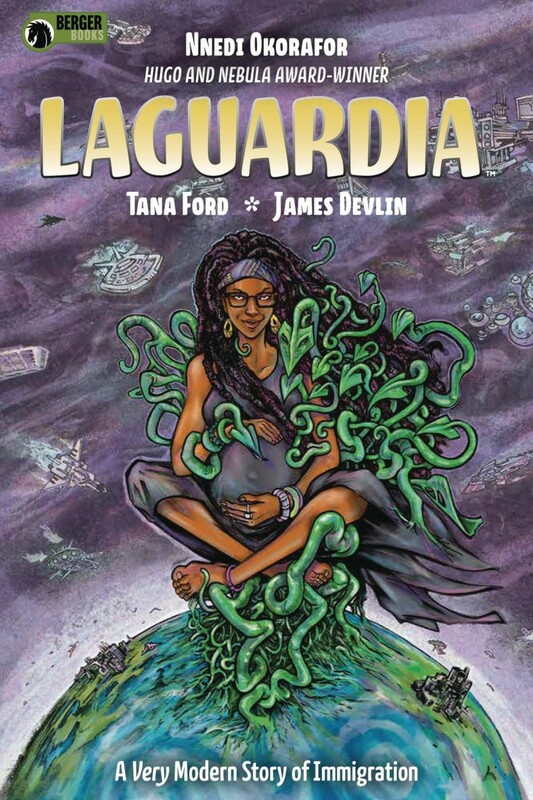 Set in an alternative world where aliens have come to Earth and integrated with society, LaGuardia revolves around a pregnant Nigerian-American doctor, Future Nwafor Chukwuebuka who has just returned to NYC under mysterious conditions. After smuggling an illegal alien plant named ‘Letme Live’ through LaGuardia International and Interstellar Airport’s customs and security, she arrives at her grandmother’s tenement, the New Hope Apartments in the South Bronx. There, she and Letme become part of a growing population of mostly African and shape-shifting alien immigrants, battling against interrogation, discrimination and travel bans, as they try to make it in a new land. But, as the birth of her child nears, future begins to change. What dark secret is she hiding?